I should say at the outset that I’m not usually the kind of person who goes for Film Guides of any description, although even I have an old Halliwell’s from the 80s (when I considered such an item to be a must have for any self-respecting genre editor/fan). Regardless, I recently had the opportunity to access a preview copy of Claws and Saucers, and chose to snap it up. 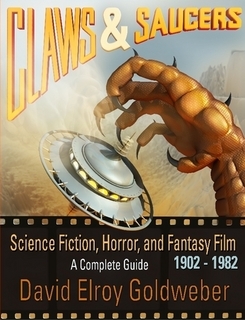 I’m pleased to say that this proved to be an excellent decision, because Claws, or Claws and Saucers: Science Fiction, Horror, and Fantasy Film: A Complete Guide: 1902-1982 to give it its full not-so-easy-to-roll-off-the-end-of-your-tongue title, is a whopper… and a darn good one at that. As mentioned above, I’m not big on knowing the ins and outs of all the blockbuster genre films that ever existed, and consider anyone who can name all the Dracula films by rote, or maybe list all the actors that ever played Flash Gordon on the big (and small) screen, as somebody who is a truly unique individual, and also probably: a). very very sad, b). short of friends, and c). a crazy madman/genius. 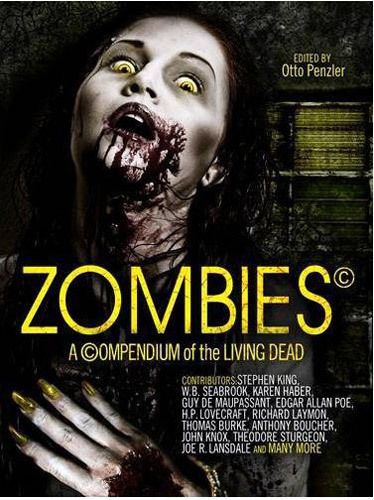 That said, what the author has done here is present an alphabetical list of literally thousands of genre movies, all with their original release dates, approx. running time, appropriate director(s), and whether the film is in colour or black and white… So far, so good, so au-fait, and nothing you couldn’t obtain by searching the internet and/or the IMDb (Internet Movie Database), maybe? So… just why should you invest your time and money in this mammoth reference? Well…Â Not only does David Elroy Goldweber offer up a good summary of the action in every film listed (and yes, he personally watched every single one of them over the course of several years), and provide additional commentary if for example, there’s an accompanying documentary on the DVD; but he also applies his own truly unique take on each movie with a few brilliant one-liners, and it is these that really make this a must-have, in my opinion. Every film listed has a one-line synopsis of the plot next to the ‘What’s happening?’ tag, as well as a ‘Famous For’ line detailing why this may or may not be a remarkable and/or important film, and there are a few other key ‘tags’ added: There is a ‘Don’t miss’ section, that quite rightly picks a stand-out part of the film, be it funny, controversial, or just plain bad; and finally, for the true would-be aficionado, the author has a string of varied and notable one-liners quoted directly from the film, usually providing amusing reference and/or a alluding to mirthful endeavour on the part of one of its characters. 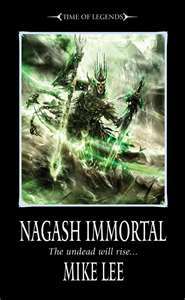 All in all, it was the author’s original aim to provide an accessible work of ready reference that any reader could literally read from start to finish if they chose to, and in this I believe he’s succeeded admirably. The direct, casual style of the writing, and the manner in which the films are reviewed, makes this a veritable goldmine of nuggets and potential movie trivia questions, and it really does help to draw you in, making you think you’ve just met this guy down the pub and he’s telling you all about a movie he’s just seen. The author freely admits he originally intended stopping at the year 1980 with this work, but various developments led him to stretch it through to 1982: a year that saw computer special effects technology start to work its way more extensively into movie studios (notably with Tron), and a whole decade that saw several masterpieces and breakthrough work that effectively re-defined films and genre boundaries back then. On his website â€“ www.clawsandsaucers.com â€“ you can see a sample excerpt yourself (film entries under the letter ‘C’), but while you’re there, I really would recommend you click through and get your own personal copy, be it as an eBook or in a more traditional paper format. An excellent, massive resource, that comes with equally huge recommendation, and deservedly so.